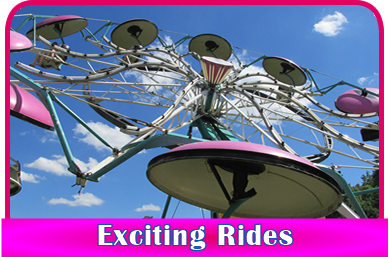 American Amusement Rentals is a family owned and operated business based in Franklinville, N.Y. We have been in the business for over thirty years, starting with Oberst Concessions, we incorporated rides 10 years ago creating American Amusements Rentals. Owned by Bob and Lorie Oberst, our operation is not just family owned, but family driven and family orientated as well. We pride ourselves to be the most friendly and courteous to both committee's and their customers in all of our services in the industry. 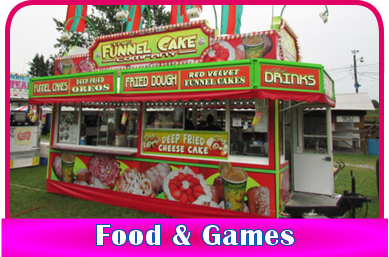 We play events in Western New York, and North Western PA, offering services from private parties, to corporate events, festivals, lawn fetes, church events and even birthday parties. 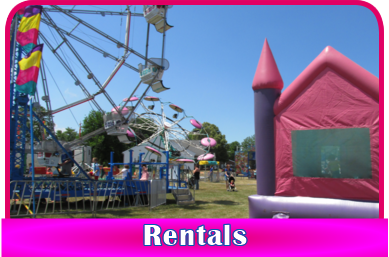 We offer a wide variety of services from bounce houses to rides and specialty foods. With being on a smaller scale we can provide services to the public to make even the smallest birthday party a big event. We are fully insured and can provide references upon request. All of our bookings fill up fast, but with the number of pieces of equipment along with well trained people all you need to do is call and we can most likely fit both your needs and schedule. We use the utmost care in helping you to plan your event to be a complete success. Our goal is to make sure there is complete satisfaction for both families and businesses alike. Our 30 years’ experience in this industry is what helps us to provide quality workmanship at a very competitive and affordable price for your event. We look forward to another wonderful year and look forward to adding you to our customer base.